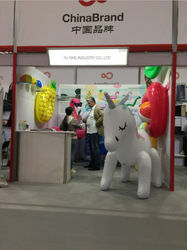 Our factory----Yu Xing Industry Co., Ltd was founded,covered 900 square meters. 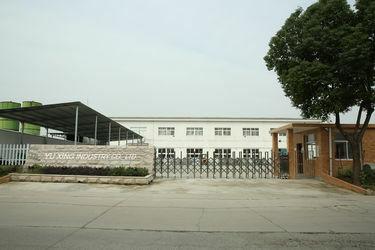 Yu Xing Industry Co., Ltd moved to Jinhua industrial part, covered 1000 square meters. 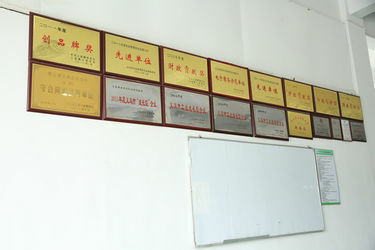 Yu Xing Industry Co., Ltd has 10 sets of automatic high frequency equipments and obtains over 50 professional employees. 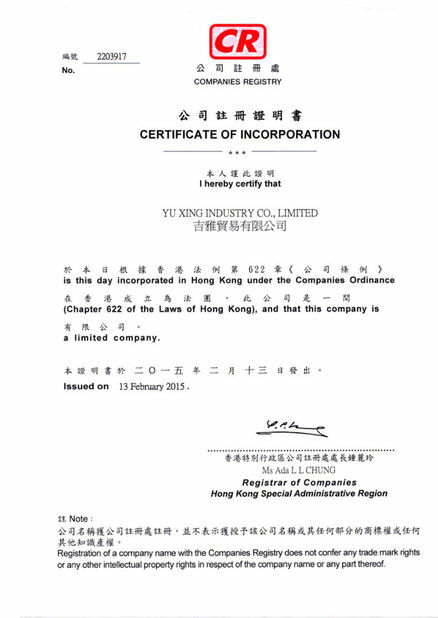 Yu Xing Industry Co., Ltd has passed related professional certificatons,such as ISO,ICTI,SEDEX,GSV,FAAC,SMETA AND WCA and so on and we keep renew. We have cooperated with many big store,such as WAL-MART, TARGET, CVS,COSTCO,DISNEY,LOREAL,TRU AND KMART and so on. 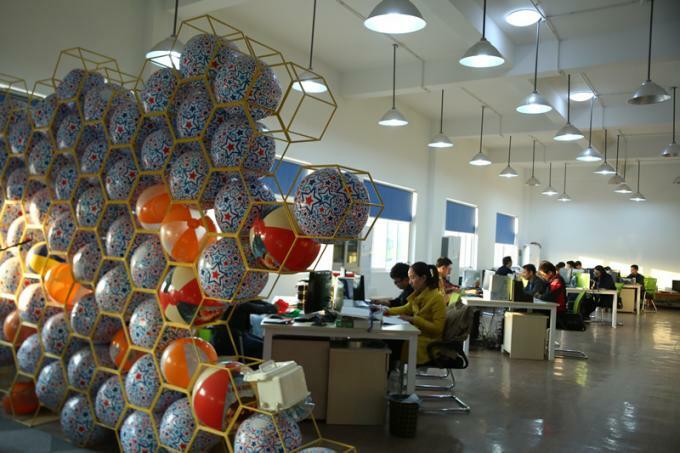 Yu Xing Industry Co., Ltd has an extension and has covered 1500 square meters. 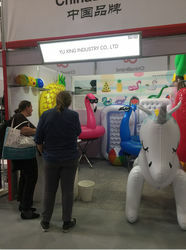 Yu Xing Industry Co., Ltd, located in Zhejiang and obtain one office in Guangzhou, specializing the inflatable industry for over 15 years,covering 2000 square meters ,has 26 sets of automatic high frequency equipments and obtains over 200 employees, we are a manufacturing enterprise focusing on the hot-sell design, high quality-manufacturing and efficient sales. 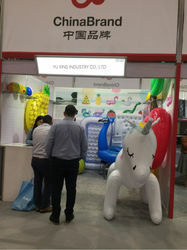 We are specializing in design, production all kinds of PVC inflatable products from year 2002 . With more than 200 professional workers and 5-10 designers with 16 years experience. Our material is complied with EN-71, ASTM F963, REACH, ROHS test standard. 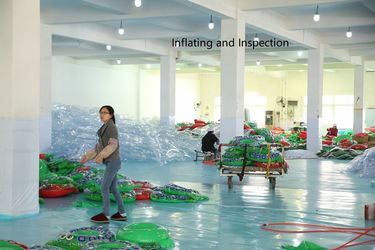 Each product is strictly produced, kept inflated for 24 hours to test quality before package. 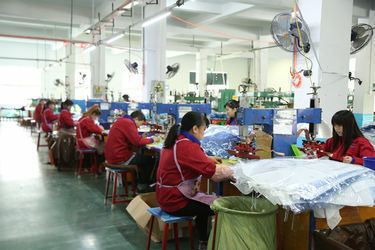 Each product is strictly cleaned before package. We supply to many countries for years, such as north America, Europe, Japan, Russia, Australia. We will provide good and thoughtful service from sample production to the cargo delivery. We will keep customer informed during each steps to make sure the quality. Salers will be on line from 9:00-21:30 on working days, 9:00-12:00 on Saturday.